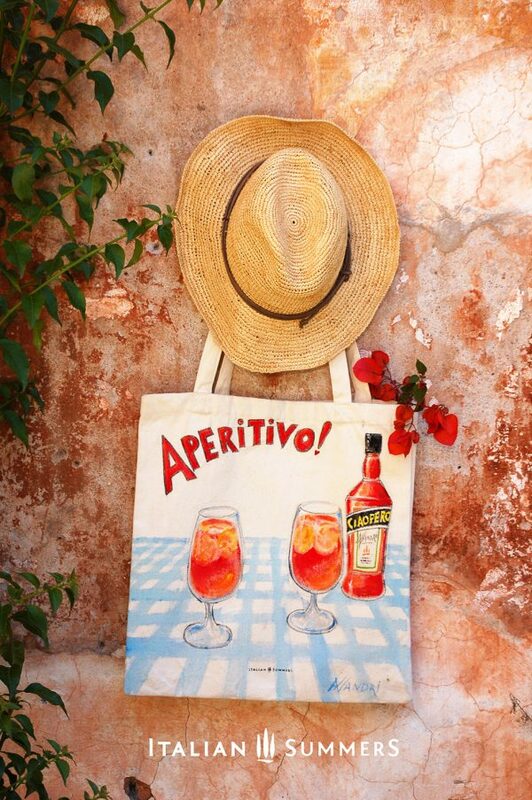 APERITIVO BAG handpainted canvas tote. 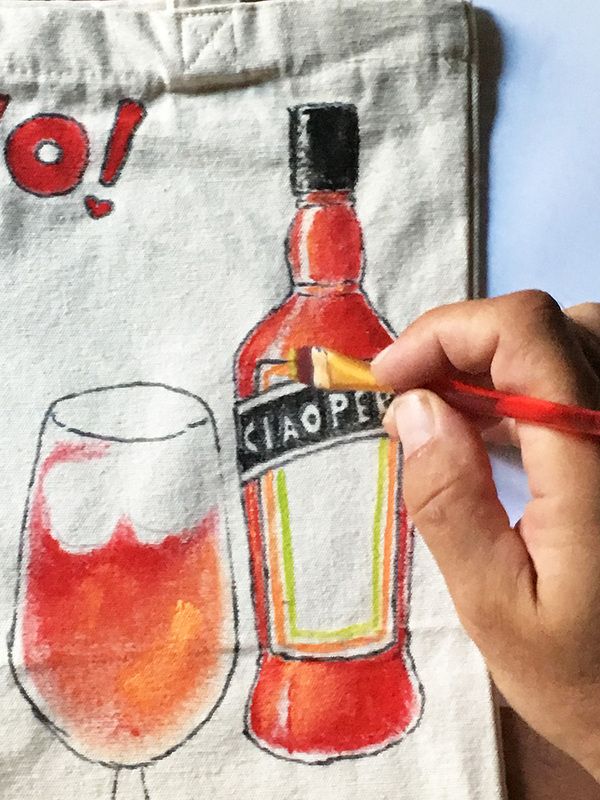 Ready for your CIAOPEROL? 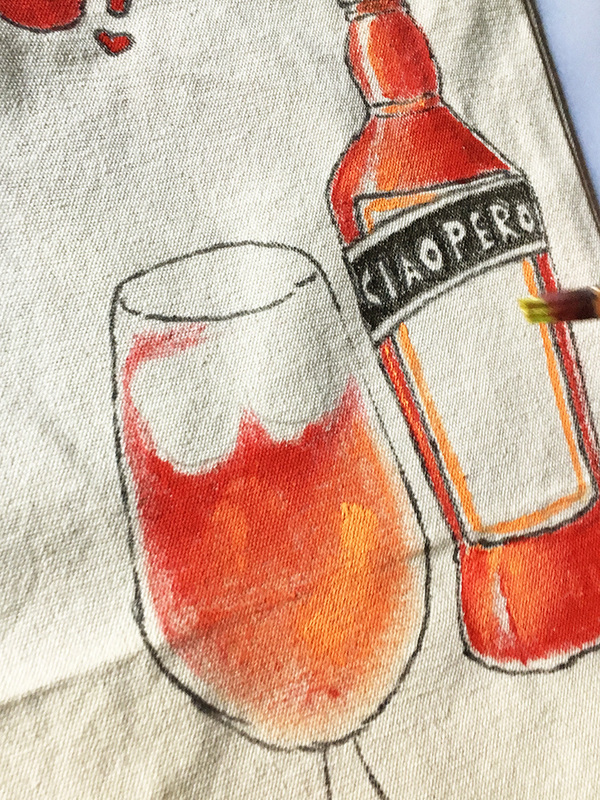 APERITIVO Bag Ciaoperol! The legendary APERITIVO bag! 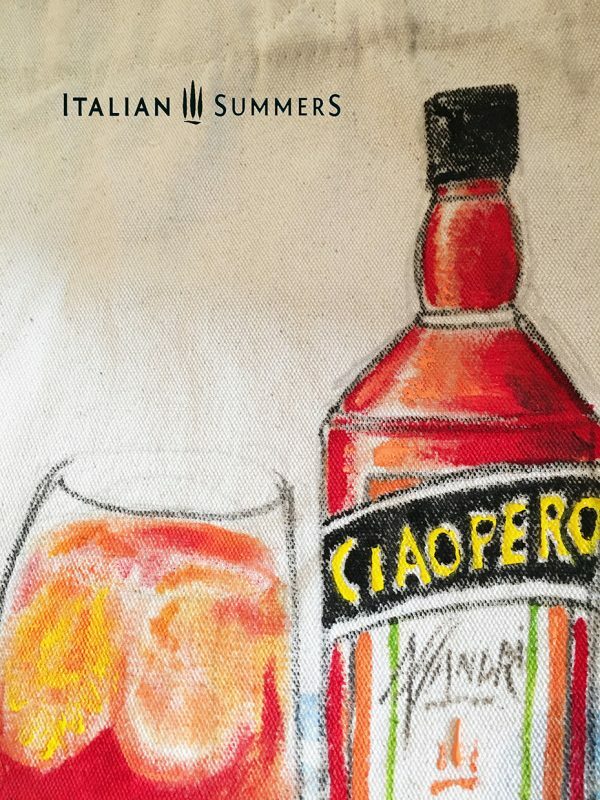 The ultimate excuse to celebrate a day’s work with your friends with a drink. 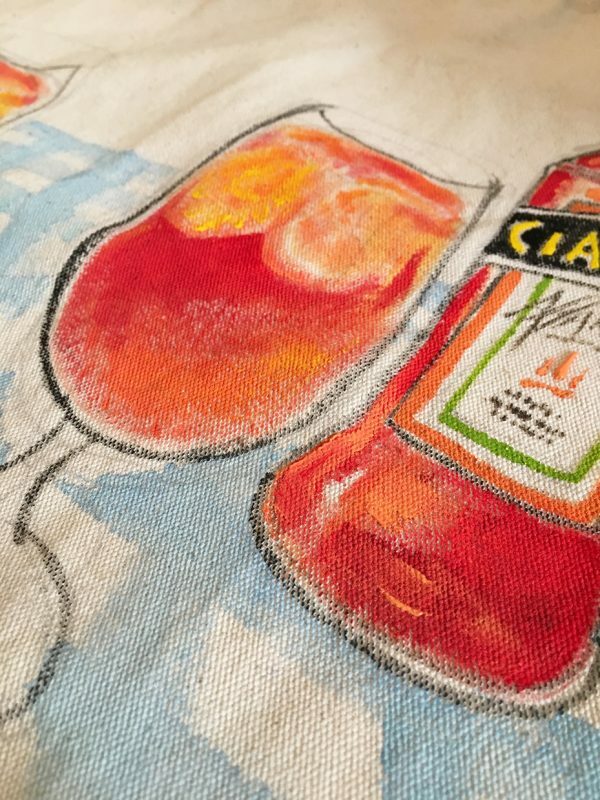 This orginal painted design celebrates a famous Italian institution, the Aperitivo, a drink that usually precedes dinner, accompanied by some delicious finger foods. 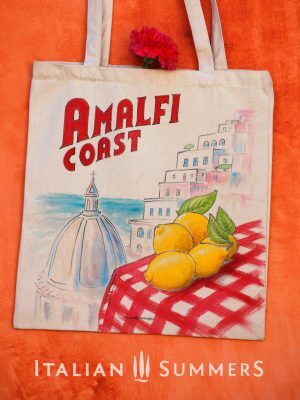 *Note: Each bag is a unique handpainted item, no two bags are the same. There will be natural small differences as the Artist replicates the theme. Attention! 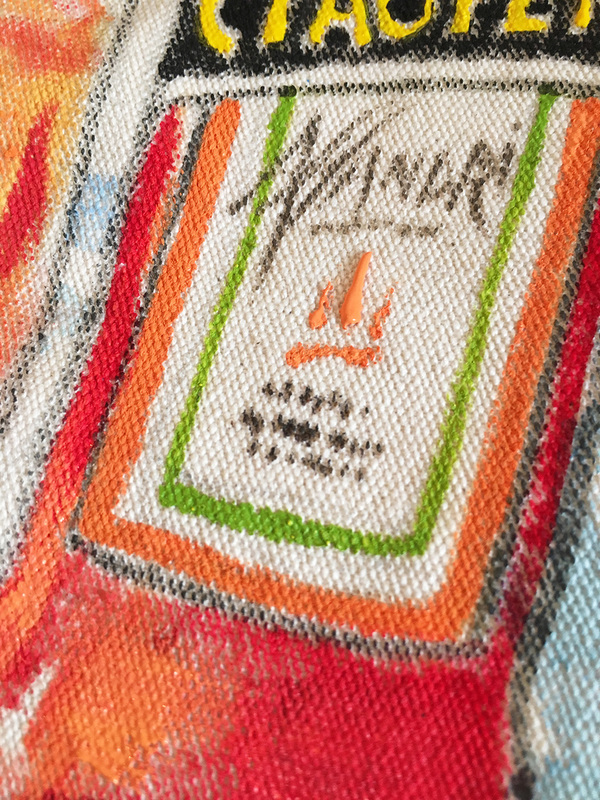 This is a handpainted product! Hand-wash cold with mild soap, do not bleach, do not scrub the painted areas, drip dry and iron inside-out on medium-low temp. 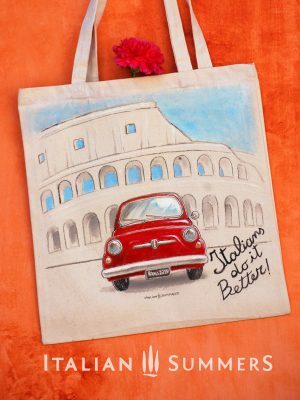 Not so long ago, we decided to create happy looking original bags inspired by Italy, La Dolce Vita, good Italian food and the overall beauty of this little, gorgeous country we both love. 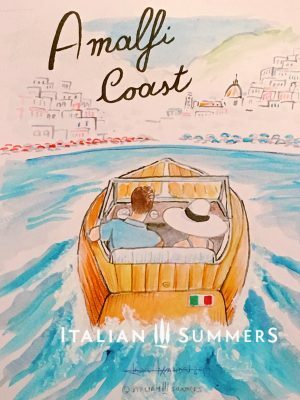 We started our research into textile wholesalers across Rome and surroundings, Mom and Pop Passamanerie shops (cute little venues crowded with gorgeous trimmings and ribbons) and distant family owned storehouses that smelled wonderfully of ancient fabrics and herbs from the nearby garden. As we grew wiser and more creative we realized that many options were at our disposal. We first decided to create a more luxurious bag, the RIVA BLU. She was our first-born. We loved the fact that we found the expert local hands to sow together all the fine materials we found and chose. We absolutely loved it. 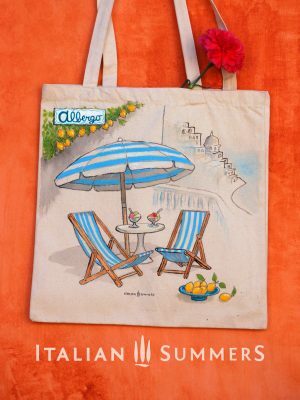 And finally, we chose to create a whole line of Eco-friendly SPIAGGIA bags recycled-cotton large shoppers with hand-painted decorations to please many different Italy-loving minded people. 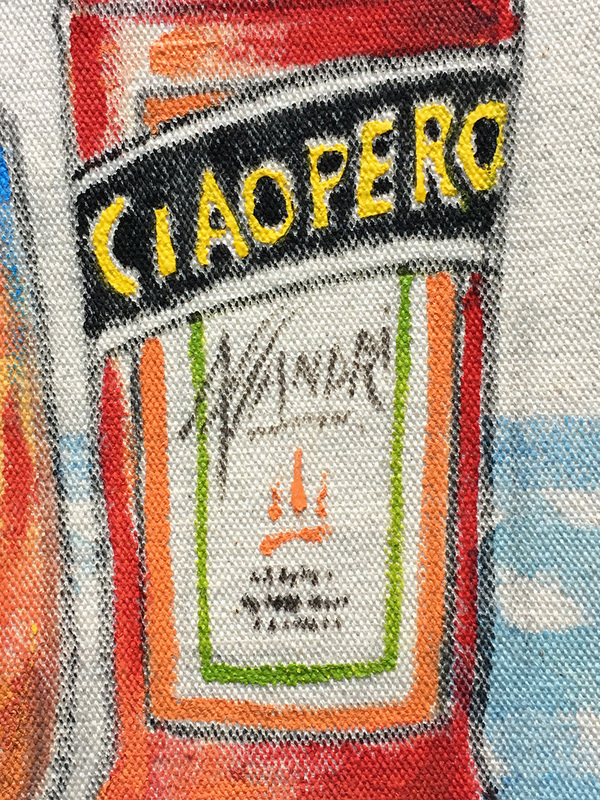 Each is completely unique, even if the same theme is re-painted on another bag. 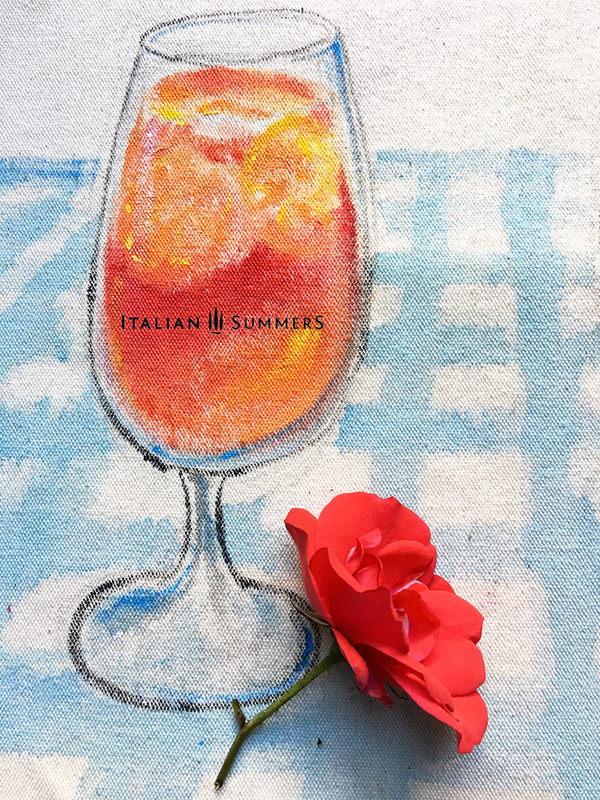 We hope you will love them even a fraction of how much we enjoyed creating them… with Amore!